Both Brake pads and discs should wear evenly. Both pads should have the same amount of friction material, and both plates on the brake disc / rotor should be of the same thickness. It is common for this not to be apparent on many applications, there are many reasons for this with differing degrees and types of wear. Below we will go through some of the common types of Pad and Disc / Rotor wear. This is really what we want to see on our vehicles, all parts working together and wearing at the same rate. 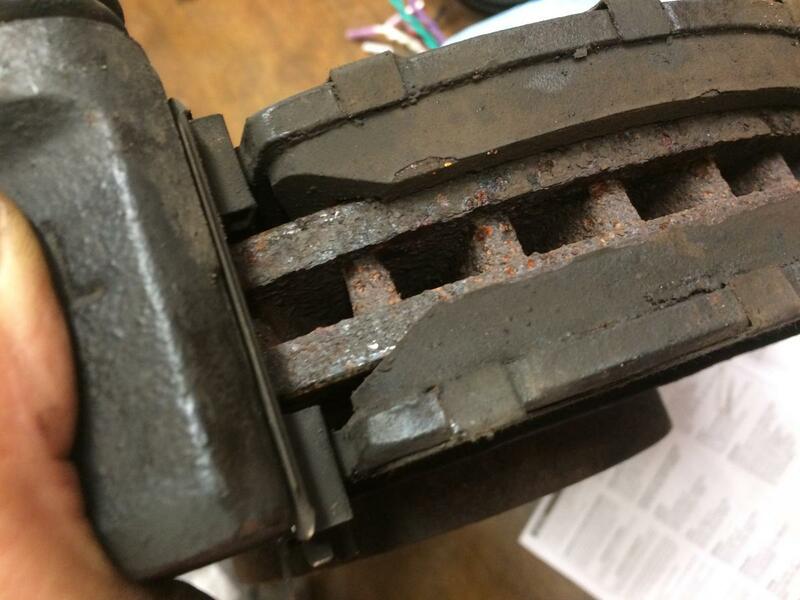 Your brakes are working fine and all that may be needed is replacement pads (3mm-2mm), it is good practice at this point to change the associated hardware such as guide pins, anti-rattle shims clips or sliders. If the Outer of the pads has a noticeable less amount of friction material than the inner, it will be because the pad has been in contact with the disc for a longer period. This could be a result of seized sliders or malfunctioning pins or bushes. This can be fixed with relative ease by replacing the sliders bushes or pins or of course, replacement of the whole caliper and components. Replace the Pads. (Never re-fit the pads even if you think there is enough friction material left on both pad surfaces.) In the case of multi piston calipers one or more pistons may have seized. Service or replace the caliper and pads. Again, as with the outer pad this is a sign the inner pad has been in contact with the disc for a longer period. Causes can be the same as above however this can also happen when the piston is not returning to the correct resting position, this can be a result of a worn seal, damage to the piston or a corroded piston. It is also possible for the Master Cylinder to be at fault. Replacement of the whole caliper and associated hardware would be the easiest way to rectify this fault whilst also paying attention to the hydraulic system to ensure the Master cylinder is functioning correctly. 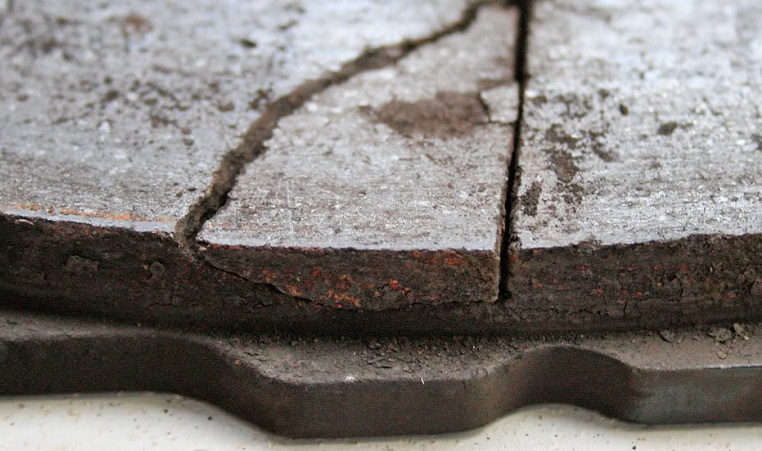 Another type of pad wear commonly found is “tapered” pad wear. This is where the pad wear slopes from one area to another. In many cases this is a result of incorrect fitting/installation of the pads or multi piston calipers being fitted incorrectly. Other causes can be worn guide pins or sliders or seizing of either component. The simple fix for this is replacement of the brake pads and associated hardware. Causes for this can be many. 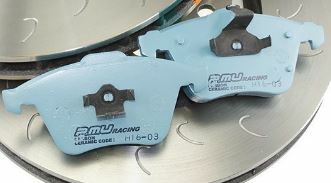 The most common cause is excessive heat which could be a failing or failed caliper, brake over use, handbrake (in the case of the rear) not fully retracted or poorly adjusted. Other causes could be pad bedding in procedure not followed correctly or a defective brake pad. Replace Caliper if needed, adjust handbrake if required, change pads and bed in correctly. In the case where the pad overlaps the top of the disc, it is Incorrect pads or incorrect disc. To correct this, replace both parts with the correct items. If you have ANY doubts when fitting or removing brake components seek the advice of a professional or better still have a professional fit the components for you. If the disc has worn more on one side than the other, the structure and the thermal properties may have been compromised. In the case of multi piston calipers one or more pistons may have seized. Service or replace the caliper and pads. 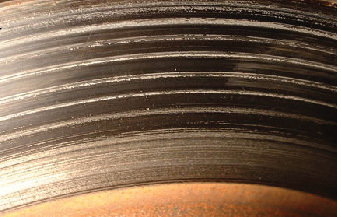 This is where score marks are apparent on the surface of the disc’s friction surface. They can be caused by several reasons including, brake over use, poor brake disc material, corrosion of the disc surface, incorrect or unsuitable pad material or contaminated pads. Some minor scoring is acceptable although it is worth seeking the advice of a professional to determine what level of scoring would be ok. In some instances, a re-face of the disc surface would be a fix for scoring. It is best practice to replace the scored discs along with the pads and associated hardware. 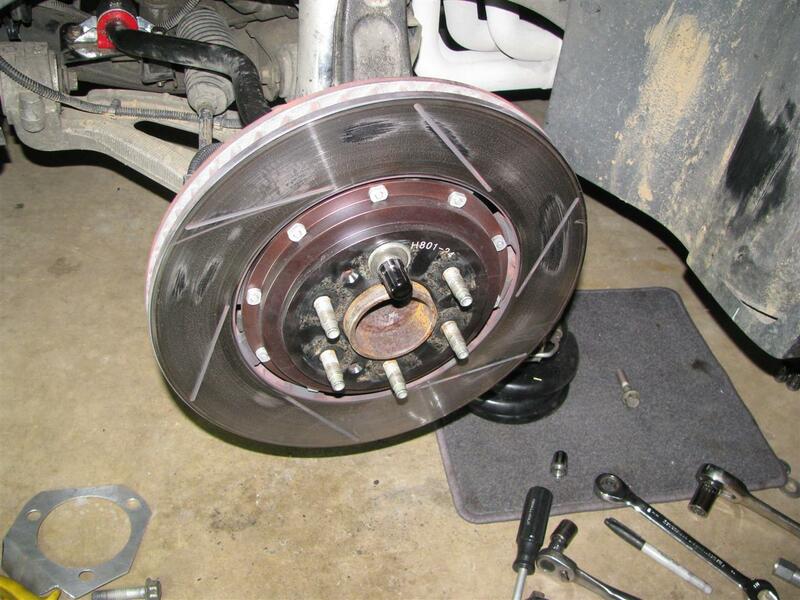 Brake disc cracking can be caused by thermal shock. 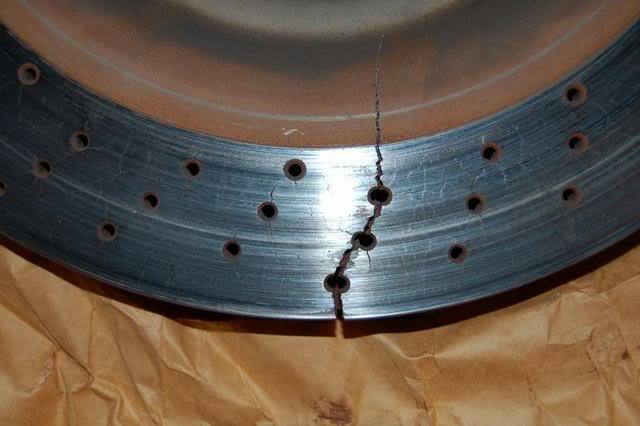 The cracks reduce the brake disc’s structural integrity and may result in mechanical failure. If the disc shows visible signs of cracking it should be replaced immediately along with pads and associated hardware. The term “warped disc” is heard across many a forum and social media post and has been for many years when experiencing brake vibration. The fact is that the discs are not “warped”. If you were to measure the disc thickness in various places there would be a variation in depth, where the brake disc has uneven pad deposits of material on the disc face, this is where people have assumed the disc is warped. If you were to re-surface the disc, it would often cure the problem for a time then the problem may re-appear as the process repeats itself. The disc was in fact never warped. Another common reason for believing the disc is warped is when the disc and/or hub flange are not flat, or the disc is not mounted correctly to the flange. The most common being pad transfer.